It appears that we can use our stem cells from when we're young for future medical treatments. Every time someone does a survey on what people are most afraid of, death is right at the top of the list (somehow public speaking often beats it, but that’s beside the point). With so many people afraid of dying, there are logically many out there looking for ways to prolong their lives. One possibly life-extending solution is becoming increasingly popular and studied: Your own stem cells. Unfortunately for humans, our stem cells deteriorate and decrease in quantity with age. Any treatment meant to extend your life, possibly by preventing disease, would be best conducted using your stem cells from when you were very young. Fortunately though, one company is trying to combat that exact problem. “The whole reason we’re doing this is that as you age, your stem cells decrease in quality and quantity, so you really want to get your stem cells when you’re as young as possible and store them,” Jessica Frisenda, COO of Forever Labs, told Futurism. The procedure only takes 15 minutes or so in a doctor’s office, and people can find the right doctor in their area using Forever Labs’ website. Frisenda said the procedure is “relatively painless,” and she would know, because she’s done it herself. She said many people go back to work the same day they do it. “We partner with physicians across the country—right now we’re in 10 markets and will be expanding to more in the next few months—and we partner primarily with orthopedic surgeons and plastic surgeons who perform the stem cell collection from bone marrow,” Frisenda said. She explained that bone marrow has the highest quality and quantity of stem cells in the body. We’re still learning about the seemingly-infinite possible uses of stem cells. Frisenda said one recent study found that injecting these cells into mice helped generally combat deterioration in their bodies—they started aging more slowly. All of that said, we should be clear that the science on stem cell treatments is not settled. 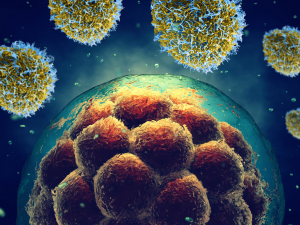 There is still a large debate about what stem cells can be used for and how effective they can be. Forever Labs makes no guarantees that they’ll be able to cure or treat whatever kind of ailment you may get in the future. Clausnitzer explained that what they’re really doing is replacing the stem cells you lose as you age with your younger stem cells, which serve an important function. “The bone marrow is the largest producer of blood in your body, it supports your immune system, connected tissue, your vasculature, your soft muscle—by having younger bone marrow, you essentially have a younger biology. It stands to reason we could live significantly longer and healthier,” Clausnitzer said. Anyone who wants to get their stem cells removed and stored will pay Forever Labs a reasonable annual fee to keep their cells for them. It’s kind of like having a different form of health insurance. Frisenda said for most people there’s very little risk to getting the procedure done, but anyone who could face risks would be informed beforehand. Clausnitzer explained that this isn’t just about extending the end of your life, which can be an unhappy time, but it’s about expanding the amount of healthy years you have on top of extending your lifespan. “What you’re really doing is extending health-span, and extending lifespan is a function of that,” Mark Katakowski, president of Forever Labs, told Futurism. No one ever knows what diseases may come their way in 5, 10, or 20 years, and we also don’t know what advances in stem cell research will be made in that time. 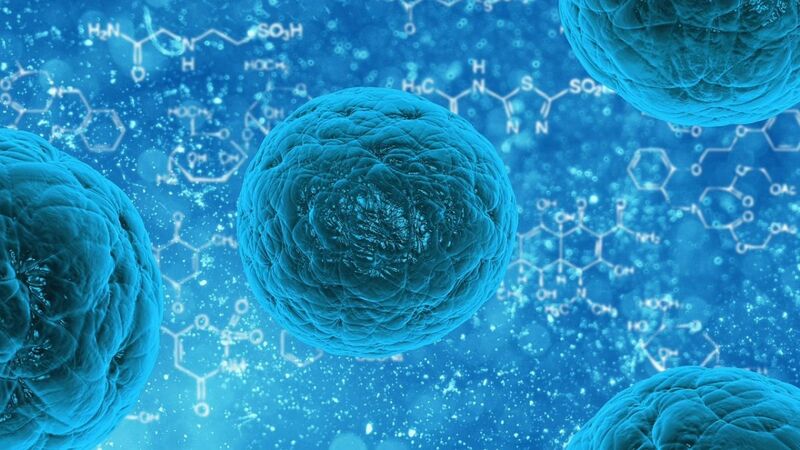 However, it does appear stem cells hold promise to treat many illnesses, and we know it’s best to have the younger stem cells, so it makes sense to get stem cells stored sooner, rather than later. Futurism fans: To create this content, a non-editorial team worked with Forever Labs, who sponsored this post and is giving Futurism readers $250 off if they use the code FUTURISM at checkout. They help us keep the lights on, and Futurism may receive a commission from sales. This post does not reflect the views or the endorsement of the Futurism.com editorial staff.